Aura of worlds is a creative tactics rogue-lite platformer. It has a strong focus on exploration, improvisation and manipulating the environment to your advantage. You progress through utilizing your wits, reflexes and a plethora of innovative abilities. Procedural levels range from pursuing toxic pollen; to flooded passages lined with explosives; to bosses spanning the entire labyrinth. Throw an enemy into it? Blow up the conduit with a grenade? Cloak yourself to pass through undetected? Aura of Worlds is under active development. Things are subject to ongoing content additions and improvements; with updates posted about once every 2-5 weeks (notification in game). NOTE: Steam keys are now available to everyone who purchased the game this up until the end of May. Don't worry though; the game has gone through trial by fire across over 1000 players at conventions (like PAX), developer meetups and testing groups over the years. All project updates (you'll be notified in game) from now till the end of time. The first 3 procedural worlds: each with their own unique layout types, hazards and special level themes (all unlocked at the start if purchased in the first week). Multiple hours of strategic challenge; with no two levels ever playing out the same way. Handcrafted pixel-art visuals and custom OST. Unsure if this is your kind of game? Like to see what others have to say first? Check out our Wall of Press coverage for let's plays and articles :). Note that the game has improved much since then; with many more refinements since. A computer running Windows XP or higher. I'm really enjoying the focus on turning the deadly world against itself. Favourite items are energy shield and grapple. Though can I wield both at the same time; given the left hand is for weapons? 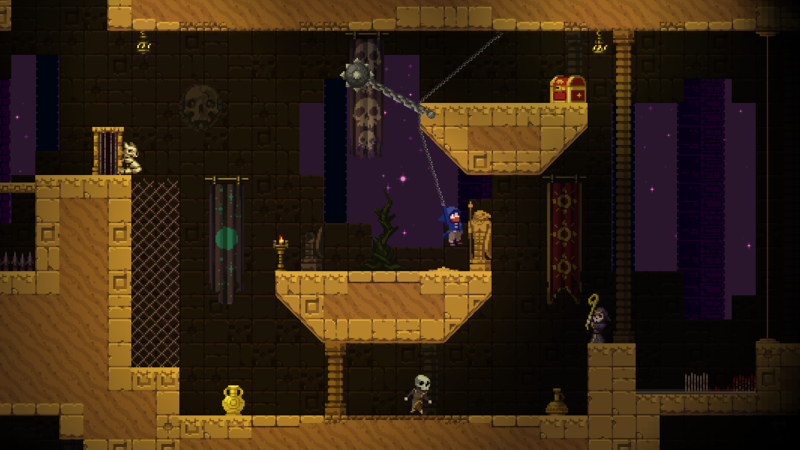 I'm not much of a platformer or RPG player, but this game has had be hooked for hours. A unique mashup of what's out there. Also has some nice and tight controls which always feels good. Really fun game, the controls are really smooth and the boss fights are challenging but not impossible. The various weapons and powers feel good to use, the grappling hook and sword being my favourite combo. 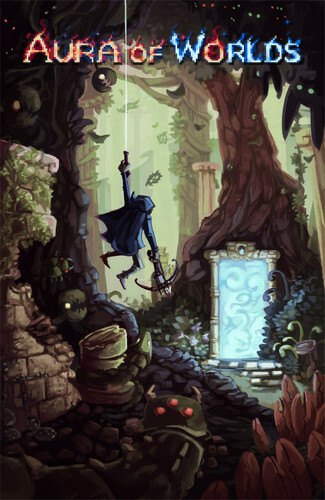 The art style is makes me think of Out of This World and makes me want to explore all the levels. Had some fun with this. Full of surprises and consistently fun. 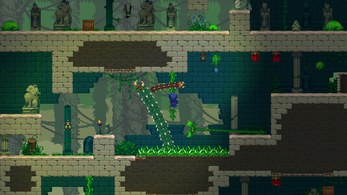 Reminds me of some of my favourite old school platformers, but luckily this one has less flaws. 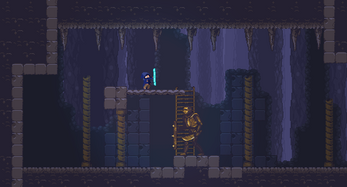 Worth a look for anyone that likes grapple hooks, prince of persia or spelunky. Pretty awesome game! A lot of variety to enemies and the setting. What I love the most about that you can tackle the challenges the way you want. And being given random equipment always keeps it fresh every time you start, you try to figure out how to master your tools. Looking forward to full release. This is such a fun game! so many ways to play it which I really appreciate. I cant wait to see more of this beautiful game. I remember seeing an early impressions review of your game a while back. What changes have you made since? TowerClimb is grossly underrated...never quite got the attention it deserved. As for the 7 fragments run (which I'm also yet to finish): brutal boiler isn't too bad; after a lot of practice winchshot becomes second nature (albeit infuriating if you don't reorder the levels to practice ;)). The arcade was the hardest for me (damn stun./zap blocks are hard to predict/outrun).